You must make reservations at least 5 minutes in advance of the time at The Old Christmas Station. THE OLD CHRISTMAS STATION Restaurant is passionate about promoting its authentic European cuisine in an inviting and relaxing atmosphere. If you are looking for something very special and unique, this is the place to go! This Italian cocktail with prosecco and Aperol liquor is THE drink of summer. Aperol Spritz is undoubtedly the most widespread and commonly drunk aperitif in Italy and Switzerland: enjoy its unique taste! Deep gold color, amazing nose of honey, nuts, rip dried apricot, dried orange piles, full body smooth with lovely sweetness, exciting acidity, extensive log finish. An exceptional delight! Cocktail of the House – a creamy delight! Great place to visit, even off season. A little bit pricy though but the service is perfect! Our first time! The server was friendly and attentive from the moment we stepped inside. The ambience was excellent. We felt like we were in Europe! The pork schnitzel was to die for - best we've had. The Austrian goulash was great too but Schnitzel our favorite. Our water glasses were always filled and our server checked back with us often. The tomato soup was delicious as were the creme brulee and German chocolate cake. Our meal was about $100 with no drinks but was worth it for our engageversary! Felt like we were burdening the staff from the moment we entered. The wait for a drink was 20 min. Then it was a half of a shot glass for $7.50! I don't know how they stay in business. It was a Great Place to Celebrate our 32nd Anniversary! Great Food, Great Service, Great Atmosphere, and Great People! We Loved it! Thank You for the great service! Great food but terrible service. Our appetizers took an hour to come out and they were nothing fancy - salads and soups. Our food took even longer. Expressed interest in dessert and it took 20 minutes for our server to take our order so we said forget it. Had to ask for our bill and they said we’re going to have to wait because they don’t have it properly recorded. Table beside us complained of the same issue. Beautiful restaurant, great food, but they ruin the experience with service. Had reservations to celebrate my wife's birthday. After three attempts to verify a reservation we were pointed to (not escorted to) a table. After 15 minutes of zero service, without even an acknowledgment, we asked if someone was going to help us. After a condescending response from what I believe would have been our waitress we decided enough was enough and walked out. Unacceptable service, will not be trying again. Please note I only rated the food and ambiance because OpenTable requires all categories be submitted in order to give feedback. That's great but we never got to order so I have no idea how their food is. It's hard to give an objective thought on ambiance when the majority of our visit was spent being ignored. Our service was poor. My dish (flambé) was great, but unfortunately the rest of my tables food was not great. Food was served at different times & when one of my colleagues finally received her burger it was burnt...like they forgot it was in the oven! We asked to move tables because it was very wobbly & we received snide comments for making such a request. The group that sat there after us also complained about the wobbly table. We asked 6 times for Parmesan for another persons dish until I had to finally walk up the the host station & ask a final time! It was unbelievable. Even when we were cashing out it was a very cold interaction. “Next!” She’d call to us like herding cattle. Such an unfortunate situation for what could have been a wonderful evening. The ambiance was decent aside from table & rude service- would’ve maybe liked some music as well. We were celebrating a small family wedding of 14 people. Food was made fast and it was very tasty. deserts are to die for. The veal Wiener Shnitzel is outstanding. Because it is pricey, this restaurant is a great place for a special occasion. Very slow service and waitstaff inattentive. We were seated and then ignored...for about 20 minutes we waited, not even a menu was handed to us. And, the restaurant wasn't busy at all....in fact, the waitress that seated us proceeded to get menus for the couple that came in AFTER us. And then she got them water. And then she took their orders. And then we walked out. Food was decent, slightly pricey. Wait staff slow for us due to two large parties. Food was very good but service was a bit slow. We went for a nice dinner, and got exactly that. The food was excellent. We had the veil & lamb schnitzel. The atmosphere was inviting & quiet. The staff was very friendly. I would have given it 5 stars, but the day we went a staff member was a no show, so the service was pretty slow. There were a few small kids there, but for the most part I felt as if it was geared for adults only that were wanting to have a quiet dinner. I should note that it's best to make a reservation as there is limited seating. Had a great dinner here. Everything we had was wonderful. I highly recommend the desserts. We couldn’t stop with just one. My husband & I LOVED this restaurant. We both got weiner schnitzel and shared the best apple strudel in vanilla sauce we’ve ever had. We wanted to go again the next day but a threatening snowstorm sent us back to Ohio. Make reservations - they were turning people away. The food looked pretty but lacked full flavor. Very bland. They forgot the salads but the food was delicious. My husband really enjoyed his pork medallions. I however, ordered meat lasagna. There was absolutely no meat. I even took the entire thing apart to look for it. I asked the waitress and she went back to the kitchen to check. The chef said the meat was just very small!! It was so small as to be nonexistent!! The apple strudel was outstanding though! Fantastic Restaurant. My wife and I wanted authentic German food and someplace that actually cooked for you rather than the usual 1500 seat restaurants that serve Chicken dinners in Frankenmuth. This place delivered! Everything is fresh cooked, both German and Italian specialties. My wife and I both opted for the Veal Schnitzel. I had the potato salad version and my wife the spaetzel with mushroom gravy. Both were very good but I would go for the spaetzel version next time. It was special. Also, I highly recommend the apple strudel which is also home made and loaded with real apple slices, not the apple filling abomination offered down the street. The full bar also offers some fun drink options. I'll definitely return to this restaurant and will even detour through Frankenmuth on trips up north in order to eat at the Old Christmas tree Station! The only issue was they didn’t have all the beers in stock that show on the menu but the server was able to recommend others. The food was delicious and I’d love to come there again next time I’m in the area. While the server was doing her best as she was the only one on the floor taking care of the entire place, the food was cold. Not just one but the entire tables. I never send food back to the kitchen to be microwaved and Lord knows what else. I ordered a steak, could barely chew it. Would not recommend this place. This place is amazing! Food is fantastic! Servers are wonderful. Atmosphere is quiet and cozy. LOVE THIS PLACE! This place was understaffed and they were trying too hard on the food. The hostess/waitress was somewhat rude to other guests, so we chalked it up to the busyness that evening (sweetest day). All in all, the food did not deliver up to our expectations. Just not our speed. This was a low energy place to dine. The staff was friendly. While the food was passable, we expected a place billed as the Christmas Station to be fun, boisterous and exploding with Yuletide energy. This was sort of eerily quiet with sparse Christmas decor. My soup came after we all had finished our meal and tasted so salty I couldn’t eat it anyway. We were very disappointed. Really good food with wines that are well paired. Moderately priced also. We have eaten at The Old Christmas Station in the past and this time was no different and did not disappoint. There were definitely more customers there this time so that was great. We enjoyed their hot chocolate and tea selection. The lasagna was absolutely delicious as was the wiener schnitzel. You must save room for their delicious apple strudel. French chef Barbara was there chatting with the customers. A very warm cozy place to dine with truly delicious food. I highly recommend this restaurant. The food was very good, but the service was very slow. Several of the servers had not shown up, so it may be better some other time. The beer list had changed, so what we had wanted was not available. That said, we would pick this restaurant over Zender's or Bavarian Inn for dining in Frankenmuth. Tomato soup was good. Pork snitzel was ok. Cozy place. Wiener schnitzel is awesome and speziel is like what you get in Germany. Absolutely wonderful. My wife had the pasta marinara while I had the goulash. Both were great. Do not miss the apple strudel. You'll live to regret it. A don't miss restaurant in a town with few good places to eat. Four of us were in Frankenmuth on our way to Mackinac. The reviews looked good here so we picked it. The service was okay but the food was a disappointment. The lasagna was the best meal at the table. It is different from the Italian version and was tasty. Two of us had the wienersnitzel and the noodles came cold. We sent it back and they were still cold. The veal was okay but basically, the meal was tasteless. The salad dressing was tasty. However, I would not recommend this restaurant -go to one of the two tourist traps for a better meal. A group of 6 of us ate at this restaurant on Sept 7/18. We were in town for the car show. 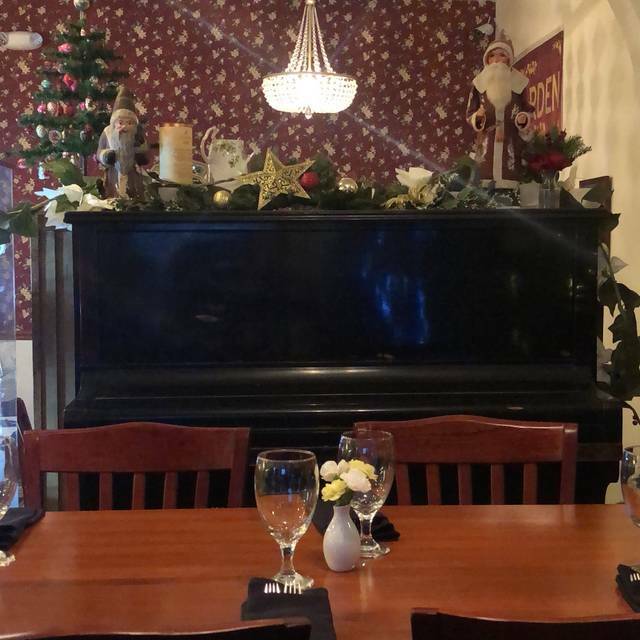 The restaurant is nicely decorated and has a European atmosphere with a Christmas ambiance. We ate early (5pm) so there were only a few tables occupied. 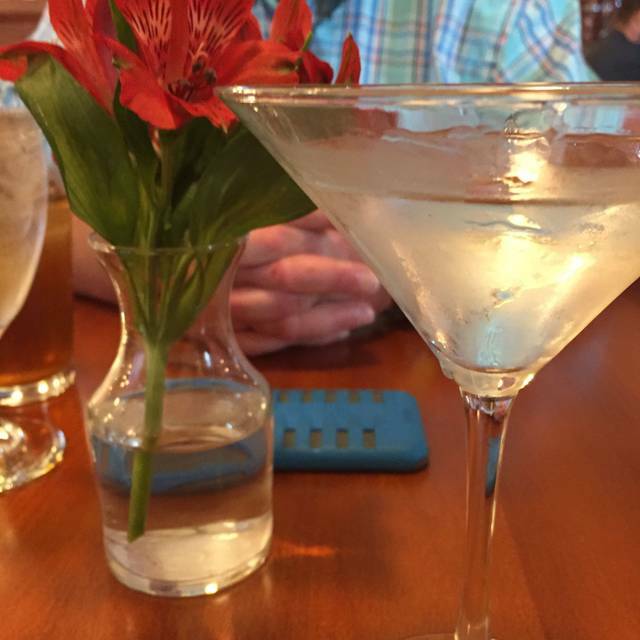 We waited a bit for service and our serve was pleasant but not as knowledgeable about some food questions we had but did send over another server to help us. 4 of us had the wiener schnitzel and the other 2 had the goulash and carbonara. We all agreed the food was very good but for it being so quiet the service was a little inattentive. My husband order strudel for dessert and it was excellent but he had to go up and ask remind the waitress that we ordered it. Overall it is a good experience and the food was worth it. LOVED this Frankenmuth restaurant! We tried a few, and this one was outstanding!! 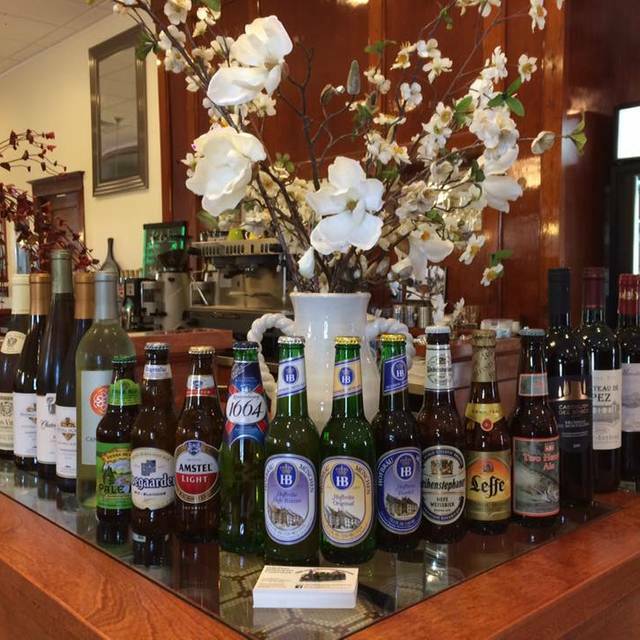 When we travel we always look for a restaurant with a good wine and beer list with great steaks and seafood. In Frankenmuth, there was only one restaurant who fit this bill. We were a little skeptical mainly because of the name. However, we were pleasantly surprised. It was a Monday so very quiet but we were in town for a dog specialty. No customers were in the restaurant when we arrived. By the time we left 3 other parties showed up. Everything was exceptional from the service to the wine & beer to the food. We had the filet, lamb, and weinersitzel and all were top quality and perfectly cooked. The prices are in aligned with the food quality. When we drove back to our hotel the other 2 top restaurants were very full. I think because they are a 1/2 mile outside of town it may hurt them but don't let that stop you if you want something other than the chicken family style the others offer. Excellent food! So glad we decided to try it! We had the Austrian Goulash and spatzle. Very tasty! We also indulged in the apple strudel and it was homemade and did not disappoint! Be sure to make reservations as it was Saturday night and they were turning patrons away that did not have them due to limited seating in the restaurant. 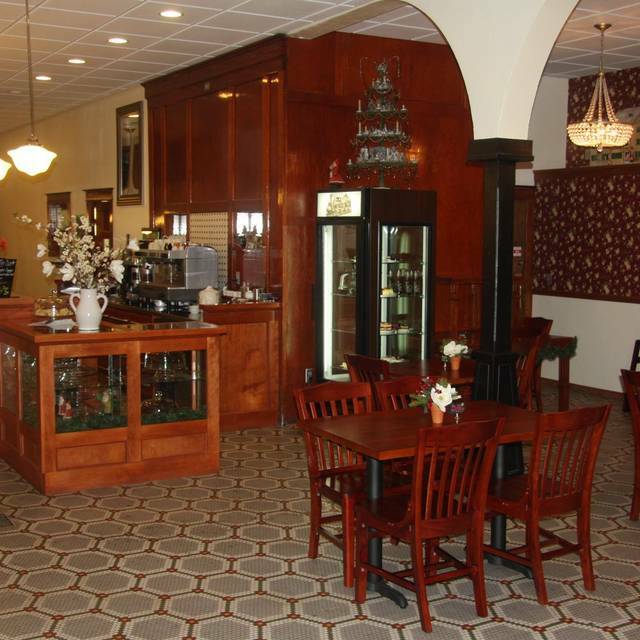 Definitely make this a stop on your trip to Frankenmuth!